This year’s KOM Summer Fundraiser was a huge success! Lots of people gathered at Mississippi Creative Arts Magnet School on July 21st to support KOM while enjoying food, sports, and activities together. In total we ended up raising over $5,500 towards our services to the community of refugees from Burma in Minnesota. 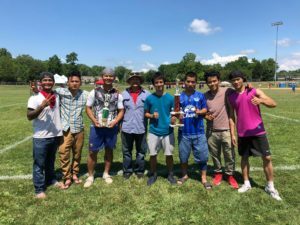 Saturday started out with cool weather as KOM staff got together to set up the food stands and get the sports tournaments started, but as the morning went on, the sun came out and the sports competitions quickly heated up. There were three sports tournaments throughout the day: men’s caneball, women’s volleyball, and men’s volleyball. The women’s volleyball tournament ended up being especially intense and lasted until 8:00 at night. 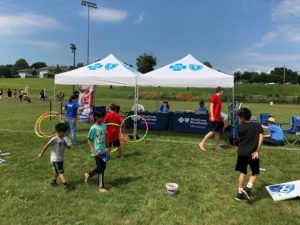 Other highlights of the fundraiser included a firetruck visit from the St. Paul Fire Department and kid’s activities sponsored by Jody Baber State Farm Agency that included a bounce house and temporary tattoos. There was a ton of yummy Karen and Thai food served. Some food highlights were pad kra pow, noodle salad, a wide variety of meatballs, and ice salad, a sweet dessert made of ice, jellies, and snow cone syrup. The food was so popular we could not keep up with the demand and some loyal staff volunteers spent much of the day running to get more supplies. Thank you to all of our hungry friends who supported KOM by buying food! Congratulations to the Unity men’s volleyball team, the Gu Karen women’s volleyball team, and the Big Daddy caneball team for coming in 1st place in their sport’s tournaments. 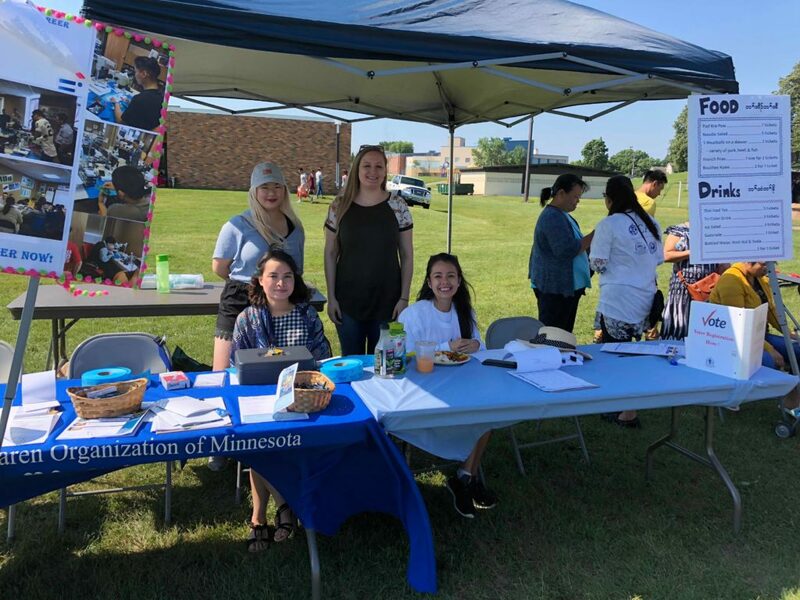 A special thank you also goes out to all our sponsors: BlueCross BlueShield of Minnesota, Lexdan Automotive, Creative Results, First Karen and Burmese Home Healthcare, Tempur Sealy, Only 1 Auto Glass, and Jody Baber State Farm Agency. You are a huge part of making this fundraiser happen. 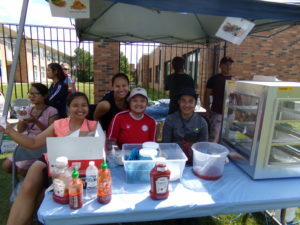 Thank you again for all your support in helping KOM serve the refugee community from Burma in Minnesota. 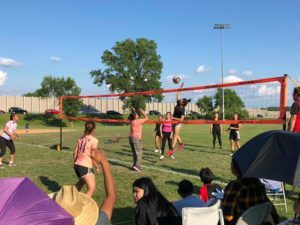 Check out our Facebook album if you are interested in seeing more pictures from KOM’s 2018 Summer Fundraiser!